New Delhi, Oct 3 (IANS) The Supreme Court on Tuesday said that it will examine whether a High Court can annul a marriage while hearing a plea by the parents of a girl who had married a boy from a different religion. A bench headed by Chief Justice Dipak Misra was hearing a plea by Shafin Jahan challenging the Kerala High Court order nullifying his marriage with Hadiya (the bride’s name after conversion). The bench also wondered whether the 24-year-old woman could be forced to live in her father’s custody. 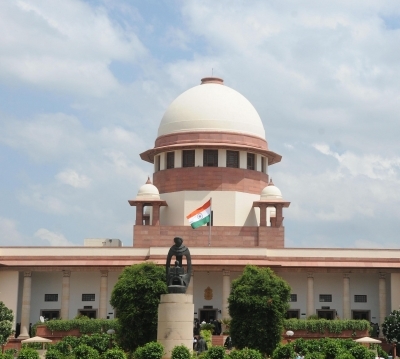 The apex court said that it will examine the issues in the course of the hearing of an application by Jahan seeking the recall of an earlier order by which the court had entrusted the investigation into the entire matter to the National Investigation Agency (NIA). Giving time to the NIA to respond, the Supreme Court scheduled further hearing on the matter onOctober 9. Hadiya’s marriage to Jahan was annulled by the Kerala High Court following a petition from her parents. The apex court then intervened and asked the NIA to probe the marriage after doubts were raised as this was a case of “love jihad”. Jahan has in turn pleaded with the Supreme Court to cancel the NIA probe. According to sources, Hadiya, who was known as Akhila before conversion, is holed up at her house near Kottayam, forcibly by her parents.